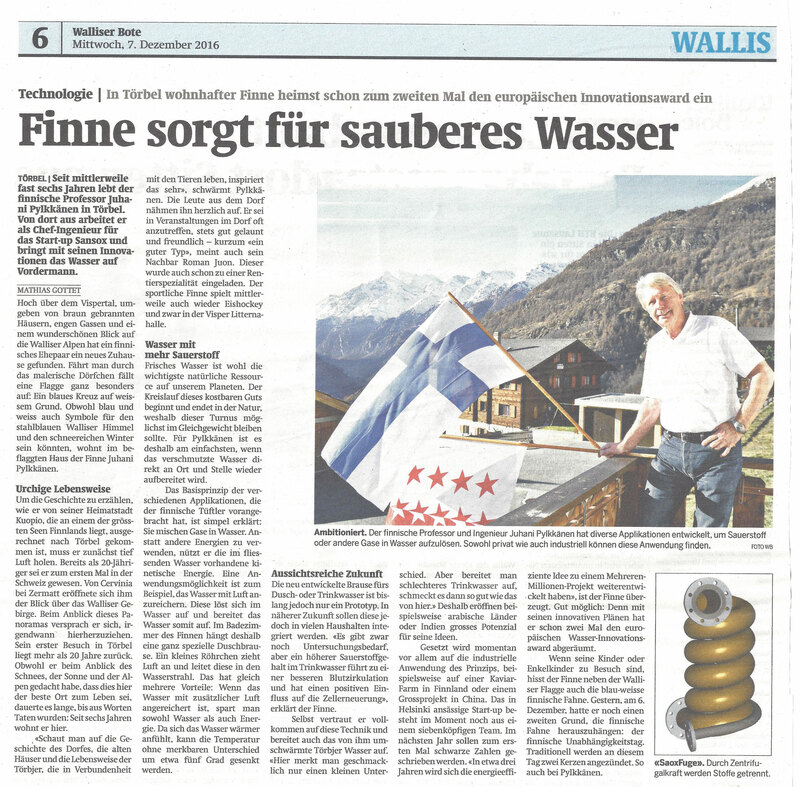 As a first non-korean company, SansOx was elected to K-water's collaboration forum. SansOx has signed a significant agreement in Korea with DongYang TechWin. SansOx and Nipman signed an agency agreement to work together in Scandinavia and Central Europe. SansOx sign two agent contracts with two Korean companies. 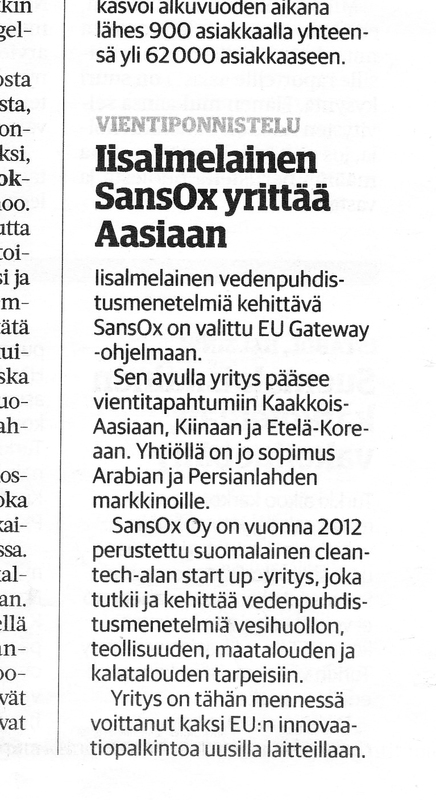 SansOx is participating K-Startup Grand Challange acceleration program. Korea the next stop for SansOx. A new industrial process water treatment system VoxSton developed by SansOx Ltd.
New device, the OxTube, aerates quickly and mixes efficiently. Sanna is an experienced information and marketing communicator, who possesses broad experience from private and public sectors. She will be creating versatile materials for our communication like articles, analyses, images, and video materials. Sanna is an experienced team player, and moreover, she is strong in languages, too, including Russian.